It's been surprisingly busy for a three-day workweek in July. An Evil Genius 2 announcement? Explosion-filled trailers? More Mass Effect DLC rumors? That MMO nobody played shutting down? All that and more, as we recap gaming news for the week of July 3 to 7. Do you have a soft spot for your Middle Earth: Shadow of Mordor nemesis? Mine had been horrifically burned at one point, and also managed to get his head trapped in some sort of metal cage thing. I killed that fool over and over again and somehow he kept popping back up like a bad bedbug infestation. If you’re feeling a bit nostalgic, Monolith’s just announced you can bring your ol’ pal over to Shadow of War later this year. You’ll need to install Shadow of Mordor again and boot up its new “Nemesis Forge,” at which time the game will prep an export for the October sequel. A few months ago I complained about how much storage space games have started hogging in our all-digital era. Storefronts and studios apparently are unprepared or unwilling to split 4K assets from the base game, compress audio, or at least allow for only one language install, et cetera. A bit out of the blue, but Rebellion announced this week that it’s working on Evil Genius 2, sequel to the beloved 2004 game wherein you play a Bond-esque villain running your very own secret lair. Check out the video below for a bit more detail, and remember the original game is on Steam (though it might be a bit finicky on modern systems). Remember Firefall? If not, don’t worry, you didn’t really miss out. Released in 2014 after years of hemorrhaging cash and glitzy marketing, it was a bit like Borderlands crossed with an MMO. And I know that sounds cool, but trust me—Firefall did not live up to that description. And so it’s shutting down. Today. How it managed to survive nearly three years, I don’t have a clue, but it’s gone and in its place developer Red 5 is creating a mobile Firefall spin-off. This industry is truly bizarre sometimes. Want aliens to fight for you in XCOM 2? Yeah, me too. Looks like that’s coming to the War of the Chosen expansion, if the below video is anything to go by. And since we missed it last week, here’s a video about a new human faction too. Kotaku released a report this week that adds fuel to what we’d already (I think) suspected, post-E3: Mass Effect Andromeda isn’t getting any DLC. None. Zip. Zero. 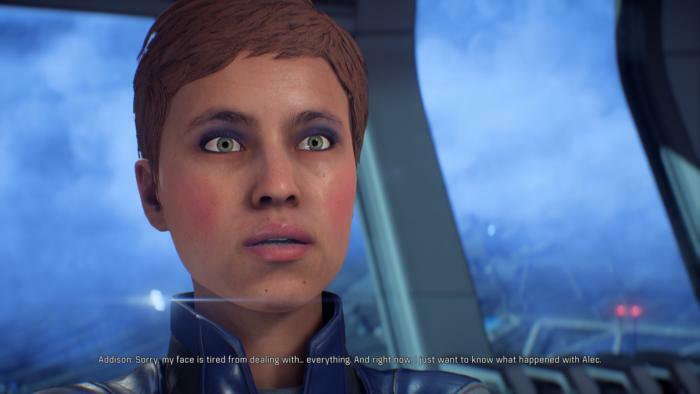 EA and BioWare haven’t made any official announcement, with Kotaku having heard this from “three people familiar with BioWare’s plans,” but I think we all could’ve guessed when Andromeda failed to appear during EA’s E3 press conference and also when EA downsized the entire studio. BioWare could still surprise us, but...well, I doubt it. Paradox found itself in trouble during the Steam Sale this year, or rather, right before it. Due to what it claimed were regional currency differences, the publisher raised the prices of its games in some territories accordingly—only to face massive blow-back. Review bombing ensued, and while Paradox initially stood its ground it has since rolled back all the changes. And now it’s apologizing further. Anyone who bought one of Paradox’s games affected by the price increase between May 17 and July 6 is eligible for a free game or multiple DLCs. Stellaris, Hearts of Iron IV, and more are on the freebie list, so if you were affected (or potentially affected) be sure to check out the forum thread here for more details. Let’s end this July 4 week on this stupid Agents of Mayhem trailer, which features a guitar riff toward the end that sounds as-close-as-is-legally-possible to a certain Team America: World Police song. Coincidence?